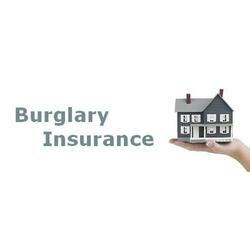 We are offering a high-end quality of Burglary Insurance Service to our clients. Burglary Insurance Service your goods from all unforeseen risks such as accident, theft, etc. Your are goods are insured with reputed companies or agents. Our Insurance Services are available at leading price. This policy covers losses arising out of burglary of stocks, equipment and other assets. Burglary and housebreaking insurance policy provides financial compensation against loss or damage to property contained in your premises by acts of Burglary and or housebreaking. The SBI General Burglary Insurance Policy covers theft of property (content & Stock) at business premises following forcible or violent entry to the premises. Gain control over such unexpected happenings such as burglary and thefts. Secure your assets and belongings by insuring them with a policy uniquely made for such situations. We are known for our burglary insurance policy that broadly covers loss or damage by burglary, housebreaking (theft following upon actual, forcible and violent entry of and/or exit from the premises) including hold-up risk and damage caused to premises. The Insurance Policy broadly covers loss and/or damage by Burglary, Housebreaking (Theft following upon actual, forcible and violent entry of and/or exit from the premises) including hold-up risk and damage caused to premises. For further details please refer to the Policy. 1. Loss or damage to the property insured by theft following upon actual, forcible and violent entry into the premises. 2. Damage to the premises following upon entry as above or any attempt thereat. - Full Value Insurance: The policy must be effected for the full value of the property to be insured. - Goods held in trust or on commission. This policy covers property contained in business premises, stocks owned or held in trust against the risk of burglary. It also covers cash, valuables, securities kept in a locked safe or cash box in locked steel cupboard on specific request.